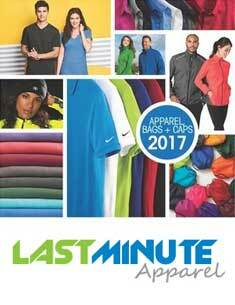 Last Minute Apparel: Specialize in Embroidering, Direct to Garment Printing (DTG) and Screen Printing. 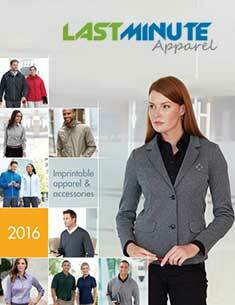 Welcome to Last Minute Apparel! We are a full service custom apparel company. We offer a full line of sportswear, outerwear, polos and tees for men, women and children that can be customized by placing your logo or design onto any item in our catalogs. We also carry a wide range of accessories including hats, bags, towels, aprons and blankets. Use your design/logo or have our graphics department create one just for you. We also offer thousands of stock designs that can be customized to suit your needs. Based on the design, we can help you determine the best method of printing to meet your objective. From embroidery to Direct to Garment printing, we can service any order, large or small. If you are unfamiliar with the technology behind Direct to Garment printing, please view this video. It will explain in greater detail how it works. DTG is breaking the screen printing mold with no minimums, true full color printing with no setup fee and in most cases, no Artwork fee (our customers bring their own! ), along with unparalleled customer service and support. We not only plan on providing a quality product to our customers, but we will bring your vision to life. Our apparel catalogs feature a wide selection of customizable items from all the top brands: Adams, Adidas Golf, Alo, Alternative, Anvil, Apples & Oranges, Ashworth, Augusta Sportswear, Authentic Pigment, Bella, Canvas, Champion, Chestnut Hill, Columbia, Cubavera, Devon & Jones, Dickies, Flex Fit, Fruit of the Loom, Gildan, Hanes, Harriton, Hook & Tackle, Hyp, Izod, Jerzees, New Era, Nike Golf, Ogio, Old Harbor Outfitters, Rabbit Skins, Red House, Sport -Tek, Tiger Woods Collection, Timberland, Ultra Club, Van Heusen, Weatherproof, Yupoong and more. 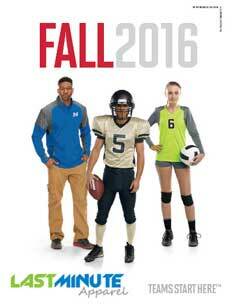 Simply choose from the catalogs below and begin your search for the perfect item. Looking for more than just another t-shirt? We also offer a wide range of custom printed garments: Womens Fitted Apparel, Mens Dress Shirts, Polos, Hoodies, Work Shorts, Assorted Bags, Children's Apparel, toddler and infant apparel, Pet Clothing, Gym Bags, Golf Bags, Hats, Jackets, Towels and more! 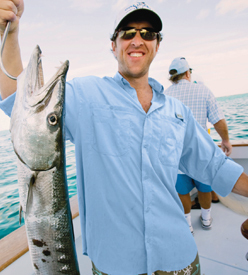 Last Minute Apparel is a leader in custom fishing apparel. Let us design and produce your shirts, hats and bags on all the latest and best quality fishing apparel lines: Old Harbor Outfitters Hydro Performance Shirts with UPF protection, Columbia Bonehead and Tamiami fishing shirts, Hook & Tackle Peninsula fishing shirt and much more! Heat printing is a decorating process which uses heat-applied materials and a heat press to transfer designs and images onto various items. There is a wide variety of heat printing processes, such as transfer papers, plastisol/screen printed transfers, dye sublimation, and print/cut applications. 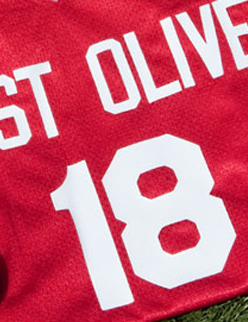 Often used for production of letters and numbers on T-shirts and jerseys, this method involves heat application of designs cut from vinyl, which is available in a variety of colors, textures, and effects (i.e. reflective, glow-in-the-dark, etc.). Heat transfer material images are sturdy and long-lasting, and can be applied easily (using a heat press) to a number of different garments and accessories in any quantity. Click Here for more. 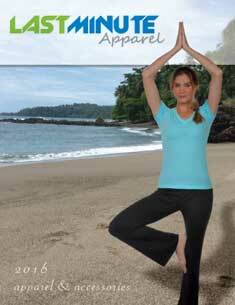 Last Minute Apparel is a division of JR Digital Imaging Corporation. While we’re printing your garments, why not let us take care of the rest? We can provide all your commercial printing needs such as, Business Cards, Flyers, Banners, Political and General Signage, Car Magnets, Stickers, Brochures, Stationary, etc.